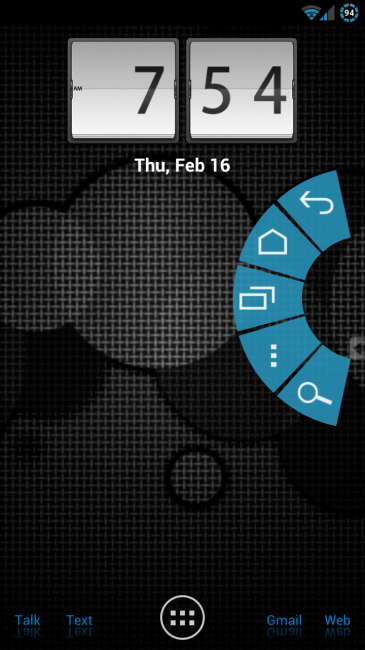 This morning, our friend MrPicolas sent us a new mod he found for the Galaxy Nexus. If you have been thinking that those soft keys on the bottom of your screen are just taking up space, then you will want to start paying attention. With the assistance of Button Saviour from the Market, this mod will hide the bottom soft keys and allow your device’s display size to become even larger. You need to be rooted in order to flash the zip, but it is available for almost all of the major custom ROMs that we cover here. AOKP, GummyNex, and Codename are all compatible. Follow the via to find all the downloads and instructions on flashing. And don’t forget to download Button Saviour or the LMT Launcher listing at the source post so you can continue to control your device properly.